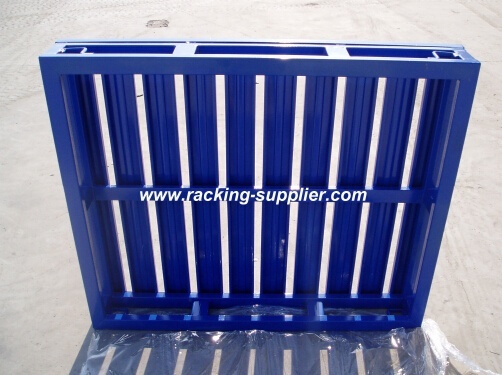 Item Code:UN-SP0806 Features:Steel pallet is widely used in manufacturing, transportation, removing as well as packing. All UNION steel pallets with powder coating or galvanized are widely used in the food and pharmaceutical industries. Steel pallet is widely used in manufacturing, transportation, removing as well as packing. All UNION steel pallets with powder coating or galvanized are widely used in the food and pharmaceutical industries. 2.) Lead time: normally in 20 days after deposit received. 2). Agent designated by client: please tell us the contact detail of your shipping agent and we will arrange to deliver the items. 3.) OEM&ODM, any your customized pallets we can help you to design product.